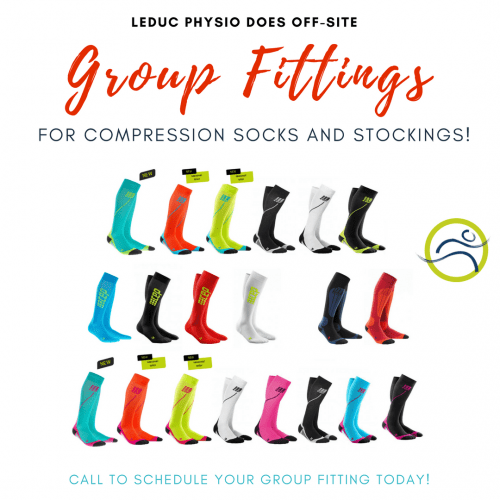 Leduc Physio does group compression sock & stocking fittings for FREE! 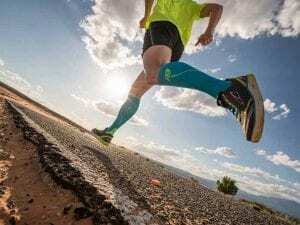 Compression wear for the lower limbs promotes better venous flow, helps control swelling, varicosities, leg fatigue, and other problematic leg conditions. If you have a group interested in being fit for compression socks or stockings, please give the clinic a call to schedule a fitting. Leduc Physio is willing to come to your location depending on interest. If you would like more information on compression socks, stockings, or our products, book a fitting at the clinic by phone, or online HERE.